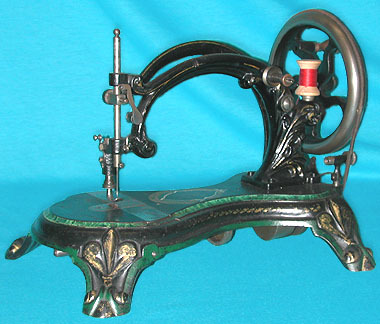 antique sewing machine - Howe Swiftsure. The Howe variant featured here is generally believed be the earliest form of this machine. The main supporting top arm incorporates an ornate relief design, and the presser foot assembly is an unusual foreshortened affair.